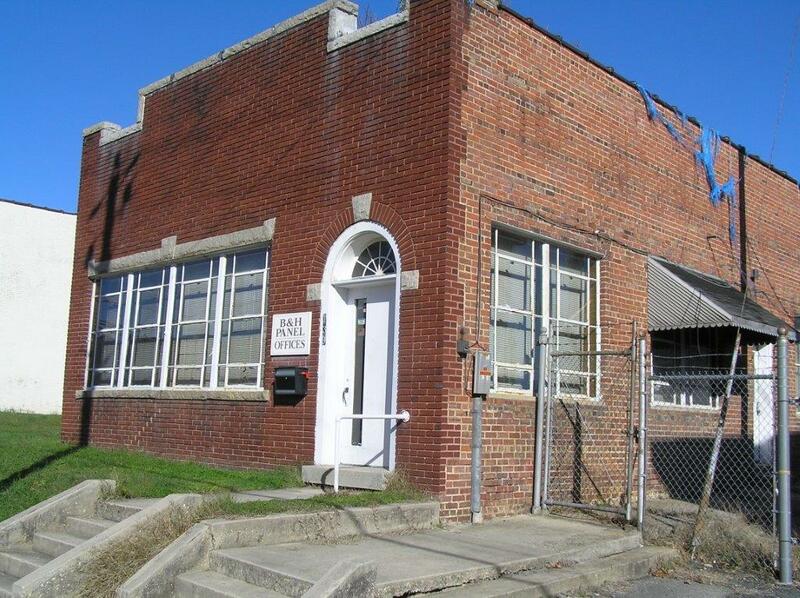 This gallery includes photos taken during renovations of the old B & H Panel Office Building to The Table Bakery in Asheboro, North Carolina. 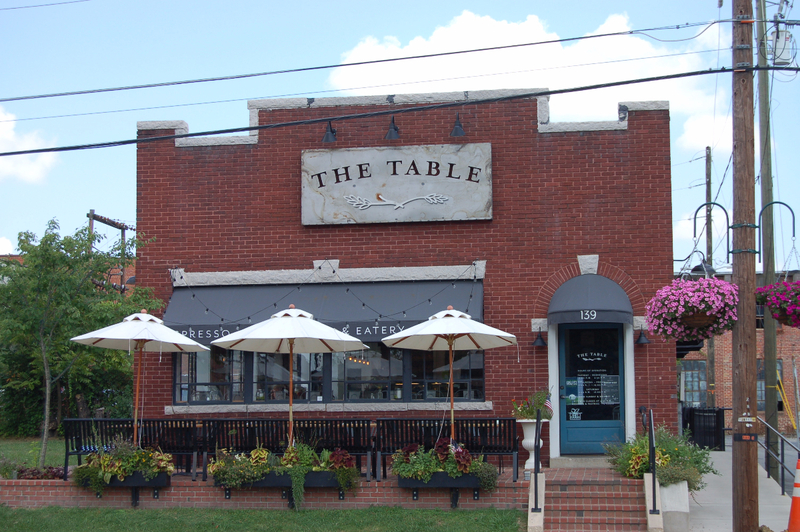 The Table Bakery, Church Street, Asheboro - exterior front elevation - post renovation. 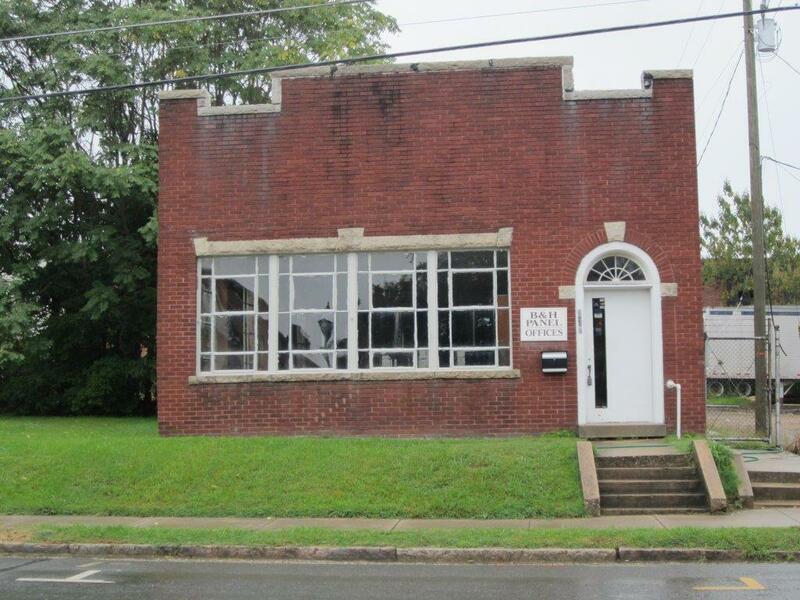 B & H Panel Office Building before renovation - front elevation. B & H Panel Office Building - entrance - prior to renovation. 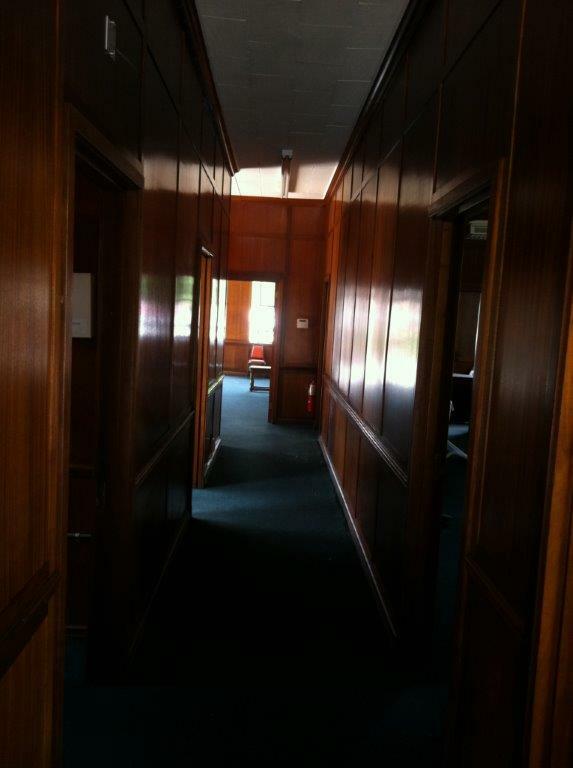 Interior of B & H Panel Office Building - front entrance prior to renovations. 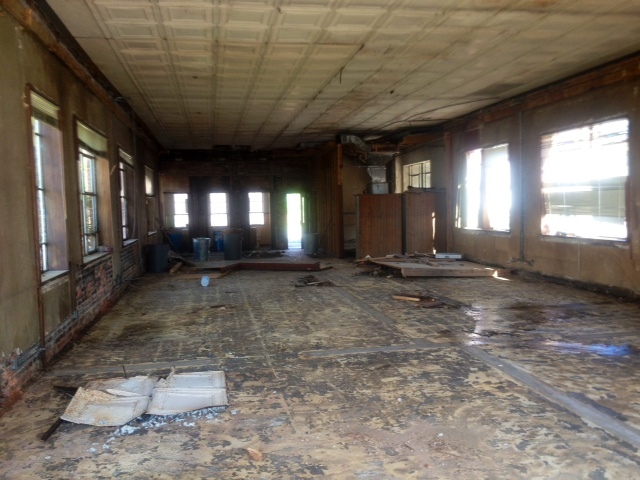 Front Office of B & H Panel Office Building prior to renovation. 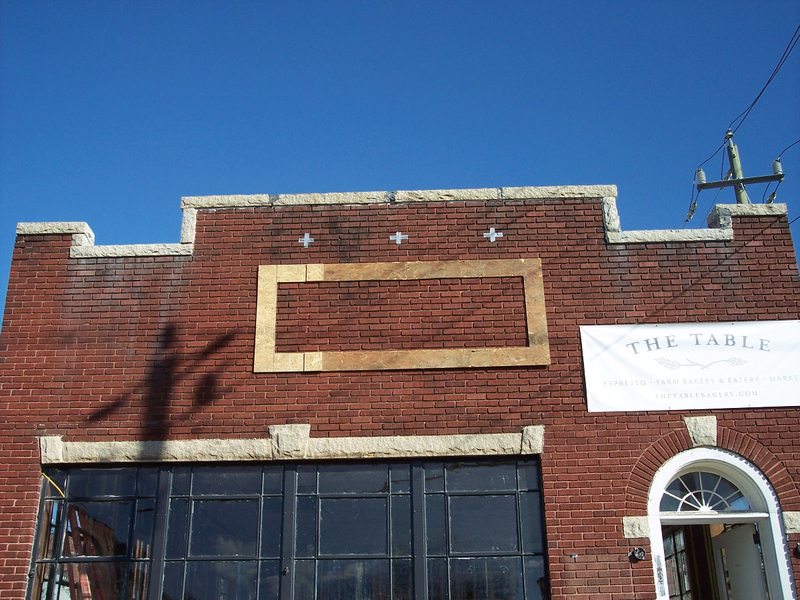 This is the front left corner of the building. 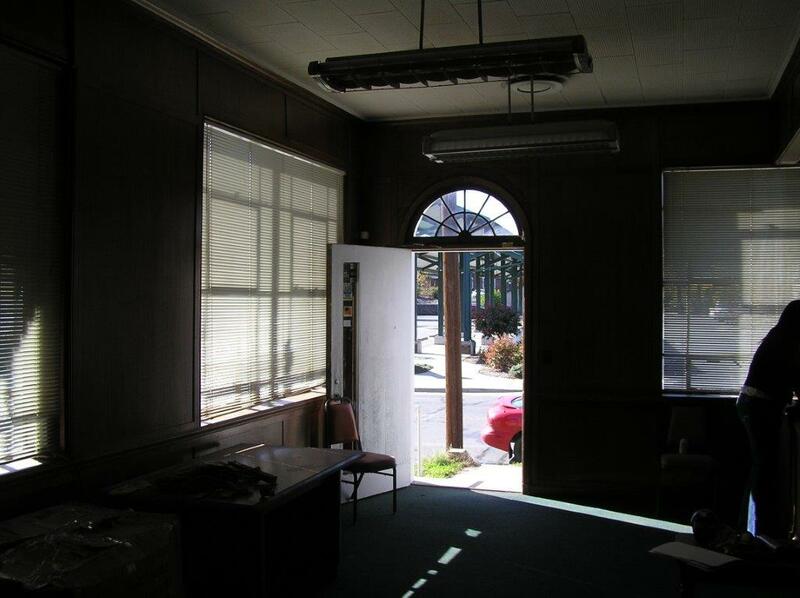 Interior of the B & H Panel Office Building prior to demolition of the interior. 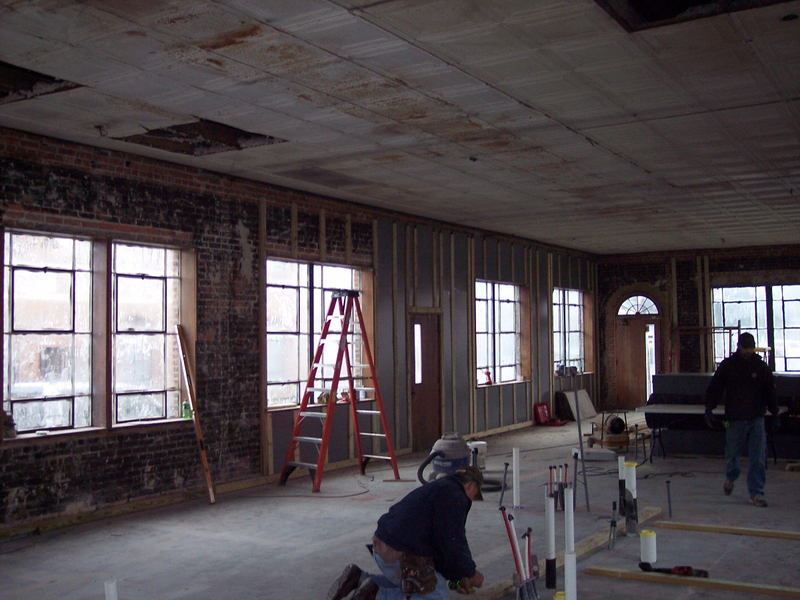 Interior of B & H Panel Office Building during demolition. 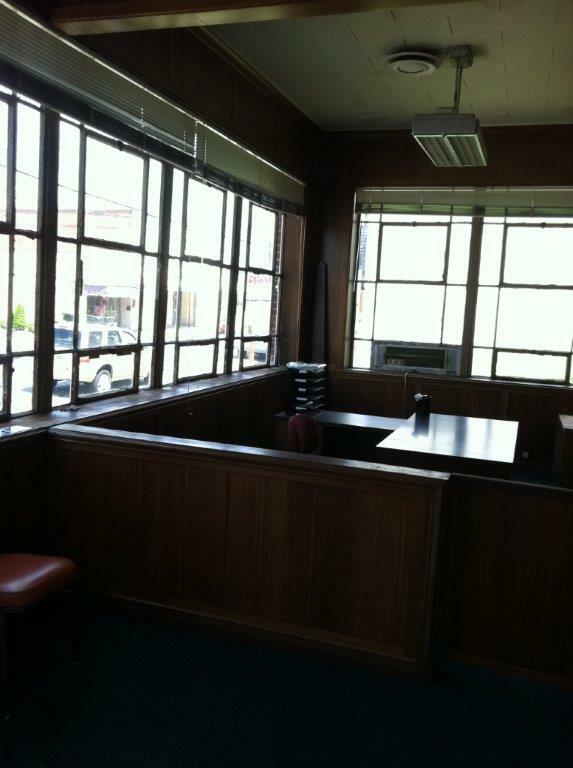 This view is from the front of the building looking toward the back. 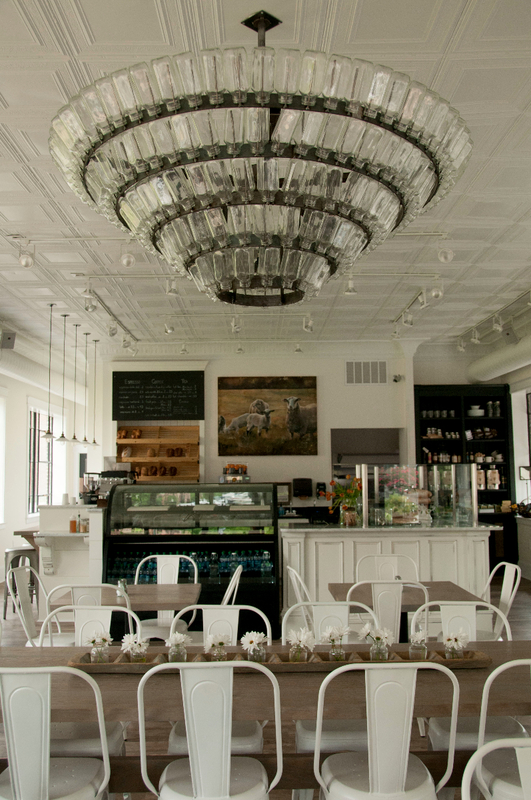 Note the original beautiful tin ceiling that was exposed during the demolition that remains in The Table Bakery today. 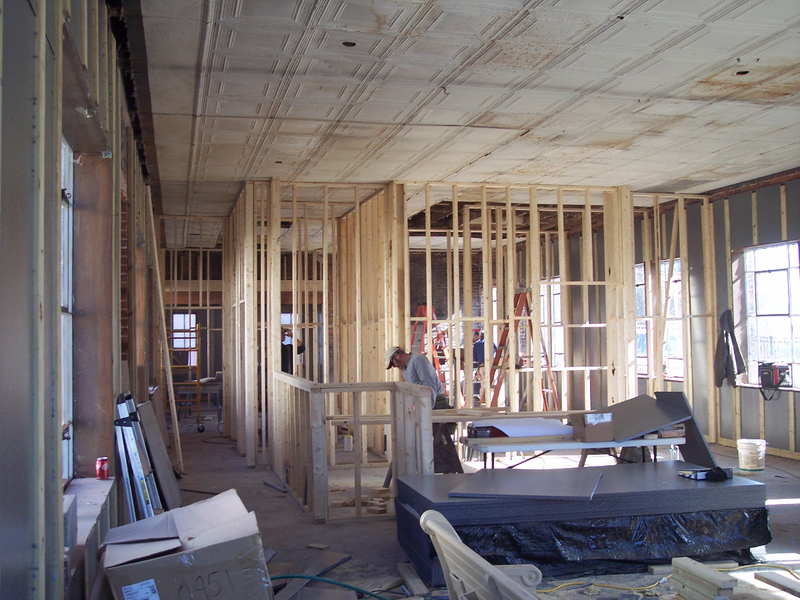 Framing begins on the new interior for The Table Bakery. The exterior beginning to take shape. 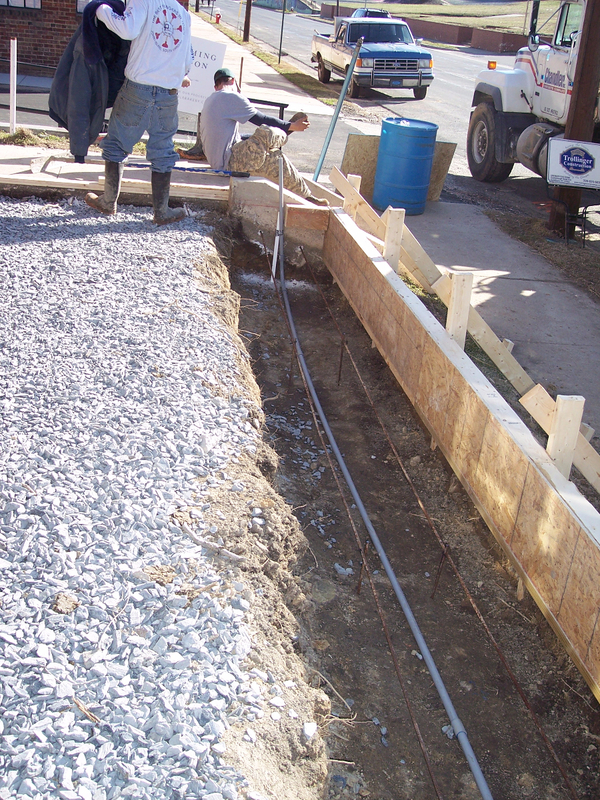 Foundation material for the front patio. 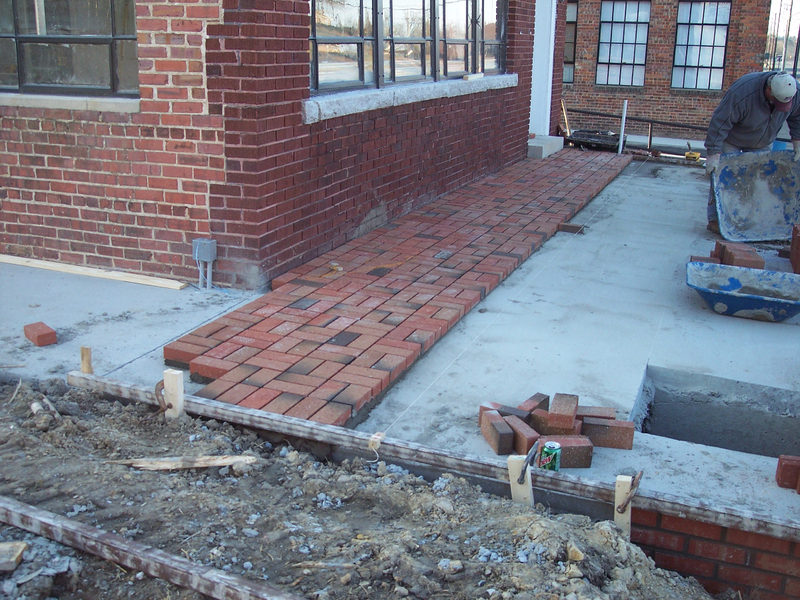 Pavers go into place for the front patio. 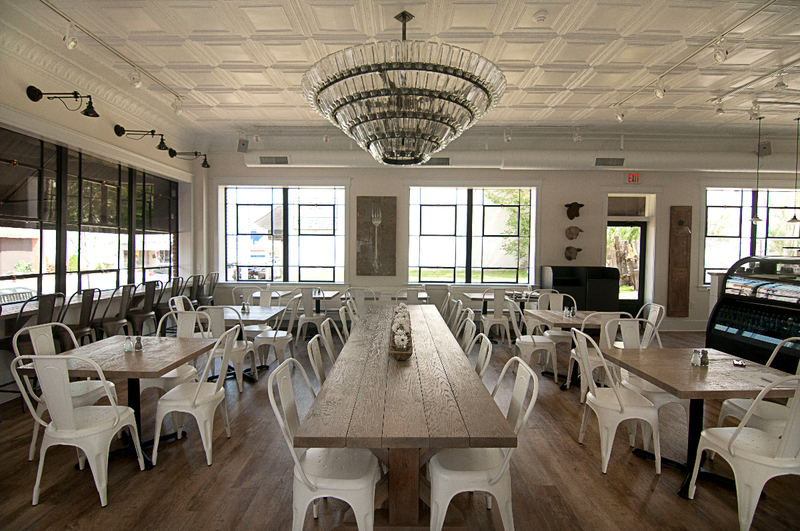 Interior view of The Table Bakery post renovation. 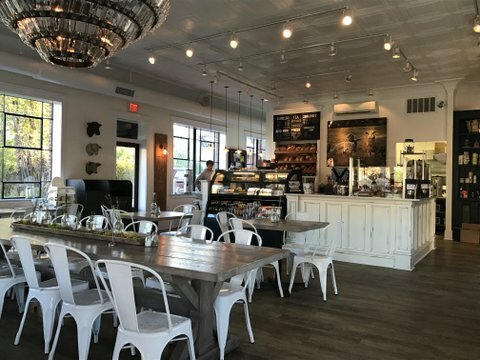 Interior of The Table Bakery on Church Street in Asheboro, NC. 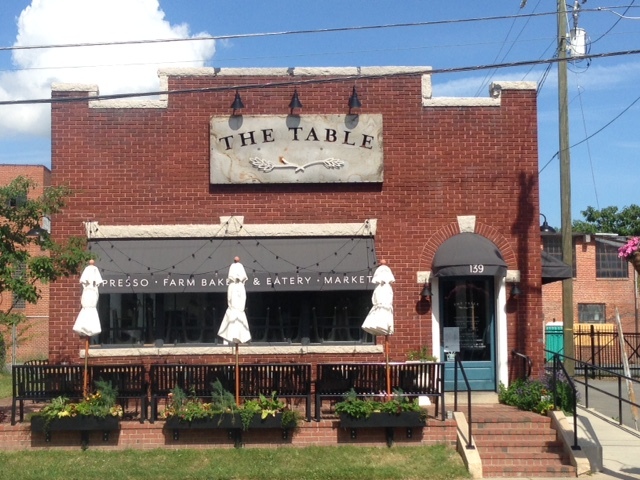 The finished project - The Table Bakery - exterior front elevation.